The last time I saw the original “It” I was very young. I was hoping to do my usual comparison of the two, and even read the book, but I would have needed to begin prepping for that weeks ago. The book is very large, and the movie, not the most readily available for someone like me who prefers to buy the Blue Ray and not rent. So this review, for now, will just be focused on the new movie. I can tell you one big difference. The movie focuses completely on the children. There are no flashbacks or story of them as adults, instead that’s alluded to in a possible sequel. The movie isn’t as scary as I remember, but I’m also an adult now. Creepy, yes, but the kids were more learning life lessons, like how to overcome their own fears, and stick together to defeat an enemy, than actually fighting a monster. The acting was amazing, the children did a great job. The special effects were a bit overly done at times, but it was okay when you consider you are viewing this from a child’s perspective. The movie was long, but did not at all feel that way. In fact, as the movie was nearing its end, I was hoping for more, so rest assured, many will be crying out for a sequel, and I’m confident it will get made. As the trailer shows, this is a cute happy animated movie. To me, the children who are the main characters do less maturing and character growth, than the adults. In many ways, the children are showing the adults to change their views and overcome past events that left them scarred. But to the kids watching the movie, it will just be a fun adventure of two kids making their dreams come true, the second layer is more for the adults watching. The movie isn’t anything spectacular, but it is worth watching if you are wanting to see a nice flick with your kiddos. The music is probably the best part, there are some real winners. My latest novel is out today! 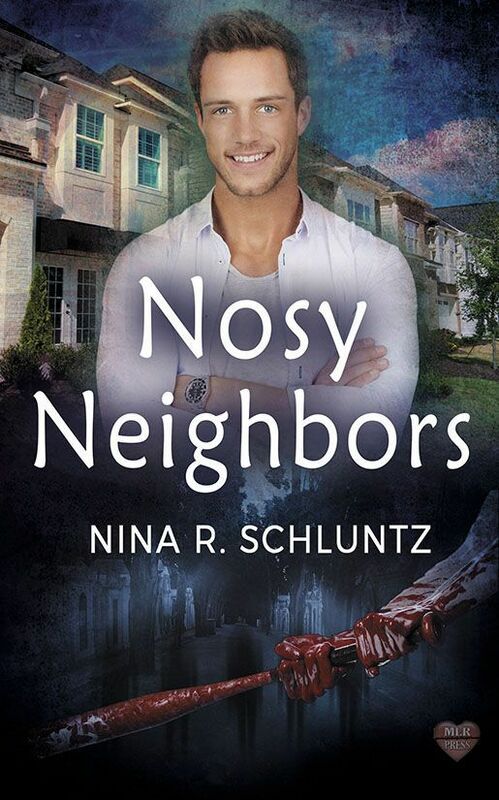 “Nosy Neighbors” is paranormal romance. See details below. Julian is used to drama, seeing ghosts tends to do that to a person’s life, but when he falls for a man known as the neighborhood murderer–the dead help him uncover secrets no housewife could predict. Moving into a suburban, middle class, stereotypical neighborhood was never on Julian’s to do list. When his identical twin brother inherits their Aunt’s house in such a place, then finds a good job, Julian reluctantly follows. He expected to feel isolated by being the only gay person on the block, okay, more likely the zip code, but a few nosy housewives eagerly inform him the neighbor across the street is gay, and punned, Mr. Creepersen, due to several murders that occurred in his basement five years ago.